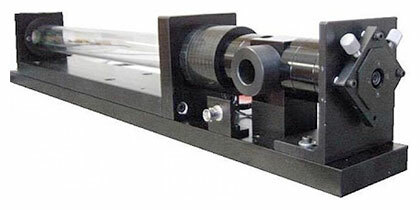 Optical Surfaces Ltd. announces receipt of an order for precisely matched precision etalon pairs from The Table Stable Ltd (Mettmenstetten, Switzerland) for use as a key component in their ultra high resolution JRS series interferometers. 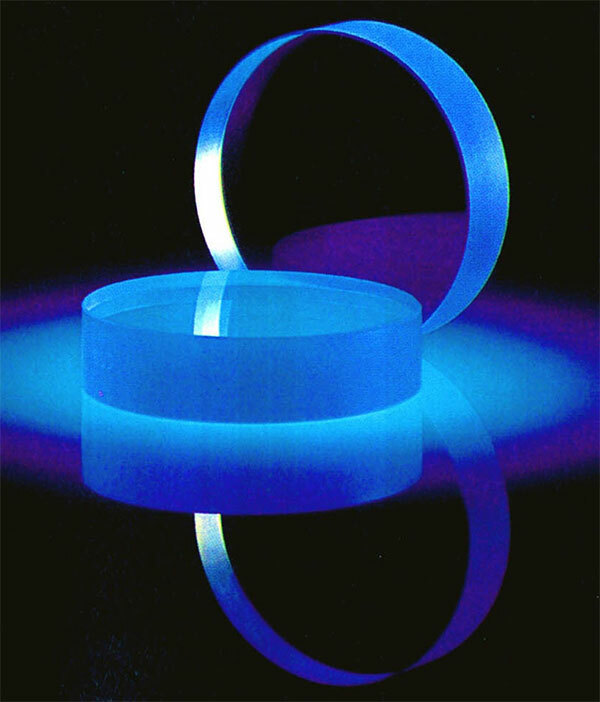 Operating in a uniquely stable manufacturing environment – Optical Surfaces’ skilled production team is able to routinely produce the 50mm diameter fused silica etalons pairs for Table Stable with matching accuracies of better than lambda /200. Etalon manufacture places extreme demands on a company’s production capabilities. Material purity, optical figure, plate parallelism, plus surface, spacer and coating quality are all critical to the overall performance of an etalon. Dr John Sandercock, Managing Director of Table Stable commented “We have worked closely with Optical Surfaces for a long time and have been very pleased with the quality of the matched etalon pairs they supply to us. When hard dielectric coatings are deposited on the substrates differential expansion causes surface strains which distort the surface. We have developed a procedure in cooperation with Optical Surfaces to compensate these forces and so obtain hard coated etalons with surface quality of lambda / 200 or better”. Optical Surfaces Ltd. has been producing optical components and systems for more than 50 years and is now accepted as one of the world’s leading manufacturers of high-precision optics for interferometry. The company’s ISO 9001-2008 approved manufacturing workshops and test facilities are deep underground in a series of tunnels excavated in solid chalk where temperature remains constant and vibration is practically non-existent. With such stable conditions testing, particularly with long path lengths, becomes quantifiable and reliable. Working with these natural advantages is a highly skilled team of craftsmen with a commitment to excellence in both product quality and customer service. The Table Stable Ltd is a world leader in active vibration isolation, and in high resolution, high contrast spectroscopy. Low power piezoelectric technology combined with Swiss quality allows the company to offer outstanding high-performance products. For further information please visit http://www.tablestable.com/en/ or contact Table Stable on +41 44 776 3366. For further information on demanding, high precision optics for spectrometers and interferometry systems please contact Optical Surfaces Ltd. on +44-208-668-6126 / sales@optisurf.com.